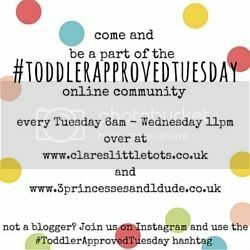 Happy Tuesday everyone and welcome back to another Toddler Approved Tuesday. Thank you to everyone who linked up last week. I loved reading your posts and my two favourite are below so don’t forget to check them out. Yesterday we made these fun finger painted Father’s Day cards and I love how they turned out. My co-host Becky has been making these DIY Jungle Headbands with her monsters. My favourites from last week are these Easy Kids Paint Recipes from My Other Name Is Mum. Look at the beautiful colours! And I always love a playdough recipe – check out this Uncooked one from Six Little Hearts.